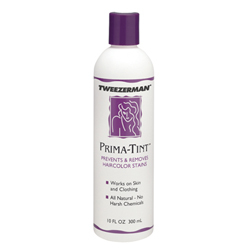 Economical and versatile, PrimaTint® is the safe and effective way to prevent and remove hair color stains. PrimaTint's dual purpose formula protects the hairline from stains before coloring and removes excess color or stains from skin, clothing and work surfaces. 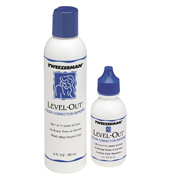 The gently effective way to lift and reduce 1 to 1 ½ levels of hair color without effecting natural color. No waiting to apply hair color after use. Works with 20 volume peroxide or 20 volume creme developer. 6 oz. bottle 3 - 6 treatments.